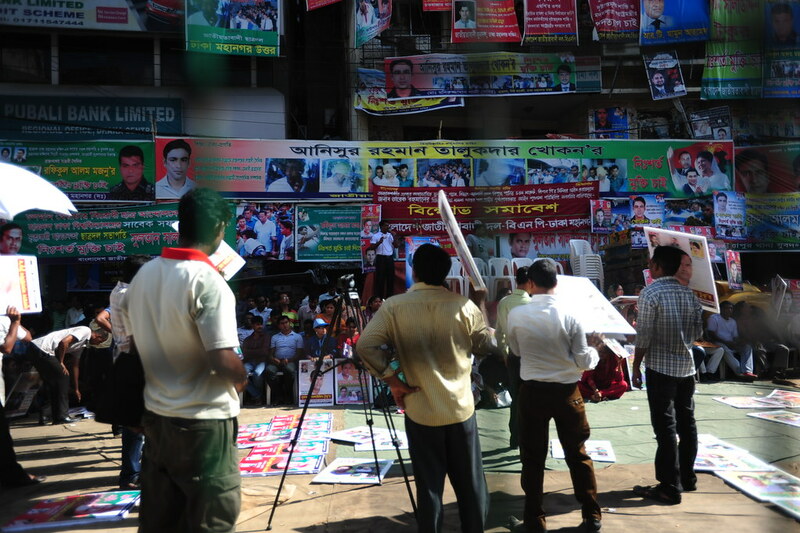 Alex left for Chittagong today while I stayed behind in Dhaka. While it’s only for 2 days, it’s fun to travel alone again! 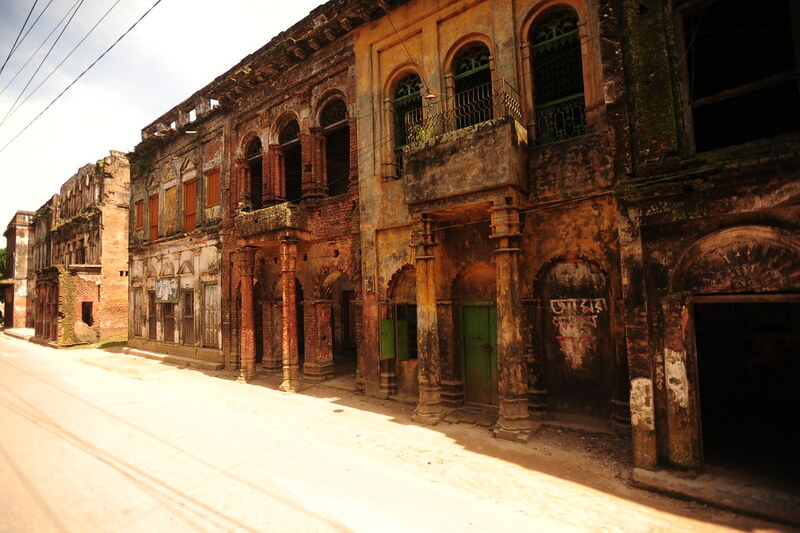 In my brusque research of things to do around Dhaka, I’ve heard reports of a nearby abandoned ghost town called Panam Nagar in Sonargaon, which is 29km south of Dhaka. So I decided to take a day trip there. 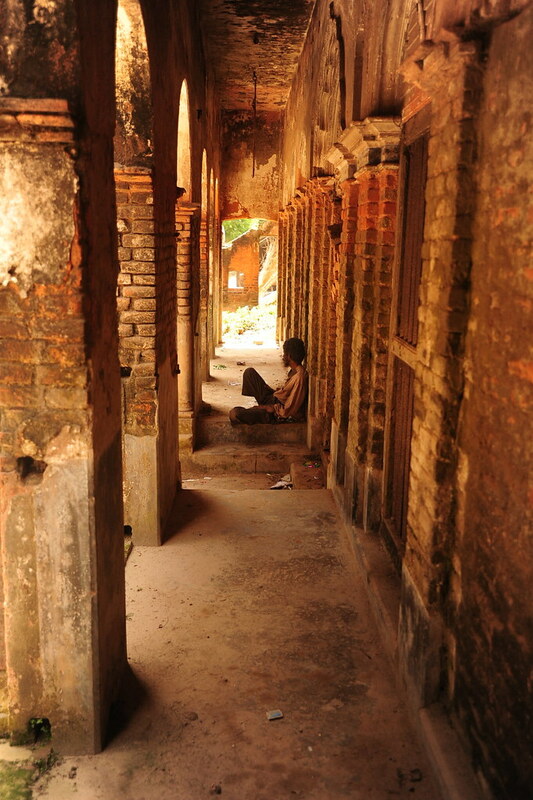 Just having come back, I think I spent more time in transport than I did in Sonargaon. It took about an hour to reach the Sayedabad bus station by rickshaw, and then another 40min to reach the dusty town of Mograpara (telling them Sonargaon will only confuse them in taking you to a hotel named Sonargaon; Mograpara is the name of the village next to Sonargaon where you can conveniently start your exploring). 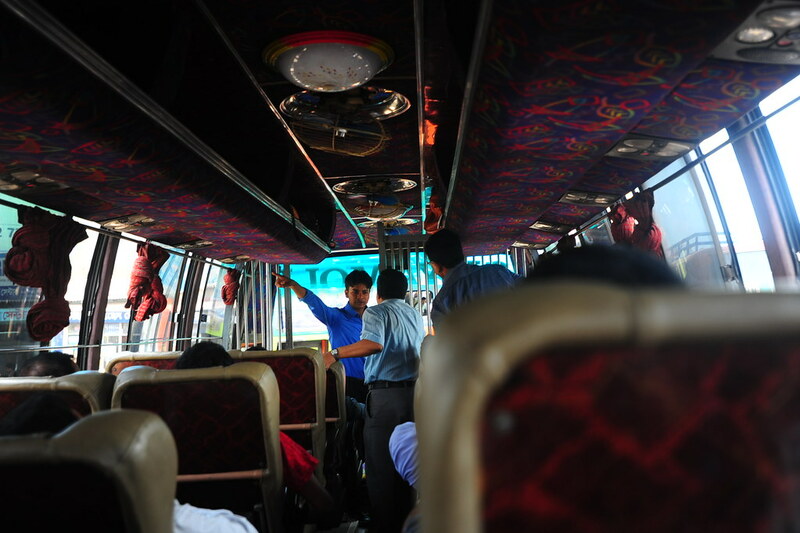 In getting to Mograpara, if you want a nice bus with ample leg space and reclining seats, pay 100 takas. If you want the local bus and save money (but not comfort), pay 20 takas. A pretty belligerent fight (I have no idea what it was about) in front of my bus to Mograpara. 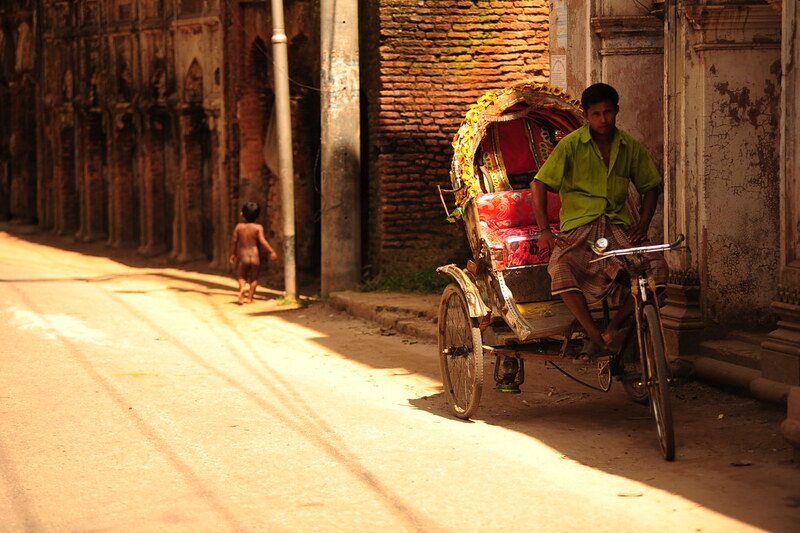 Once at Mograpara, an army of rickshaw wallahs will scream “Sonargaon! 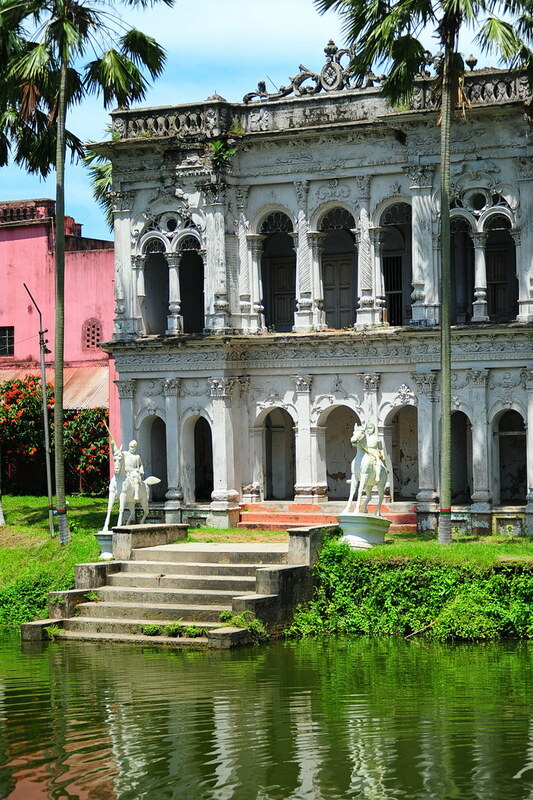 Sonargaon” at you as if they’ve read your mind (or rather, it’s understood that Mograpara has nothing to satisfy a foreigner’s interest other than a trip to Sonargaon’s ghost town). 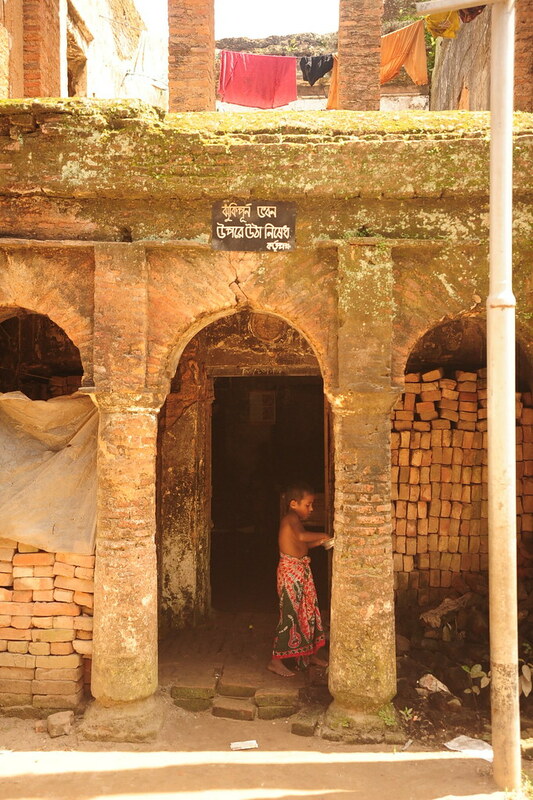 Haggle it down to 200-300 takas for a little trip around Sonargaon, and they’ll take care of the rest. You don’t even have to tell them the names of the sights you want to see; they already know where to take you without saying a word. Sardarbari (Lok Shilpa Jadughar) Museum; unfortunately it was closed when I was there. 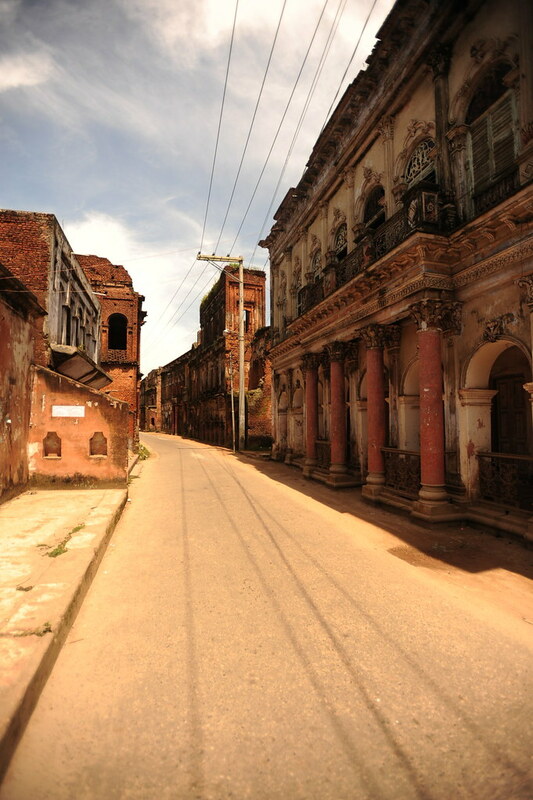 I was eventually dropped off at the very eerie Panam Nagar, which is really, truly a ghost town. 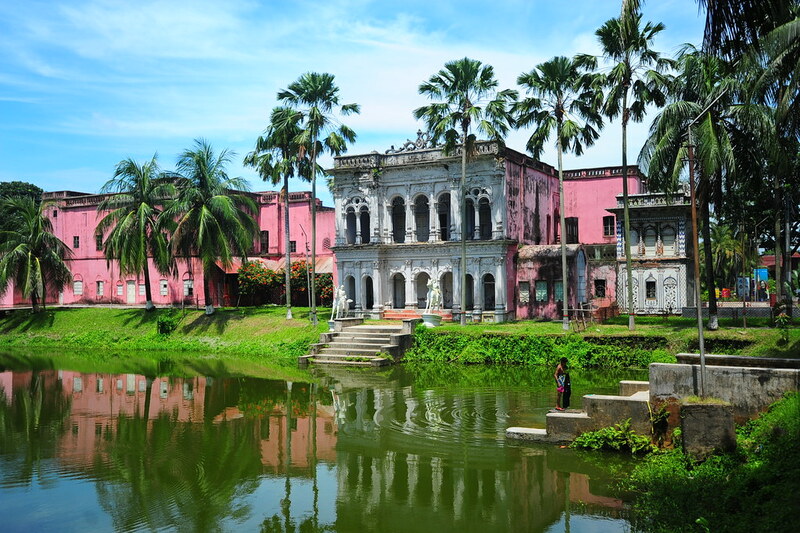 A brief history lesson: As early as the 14th century, Sonargaon was the ancient capital of Bangladesh, or more accurately, it was the capital of Isa Khan’s Bengali empire. 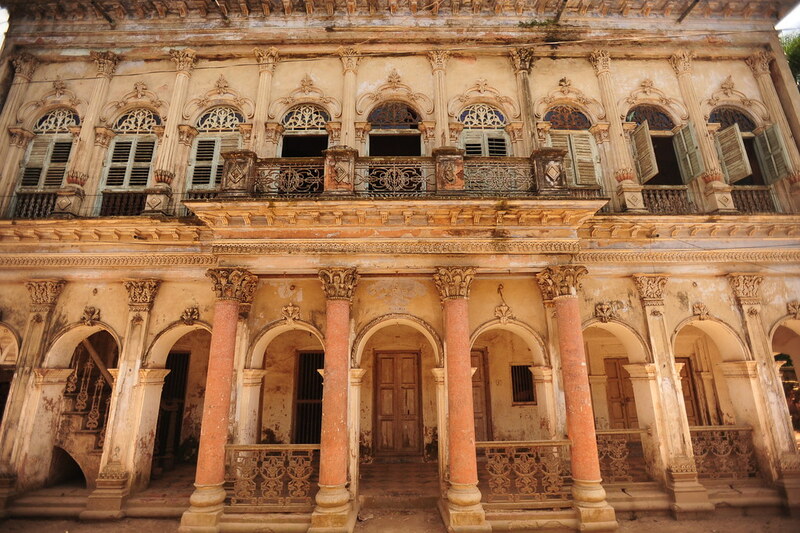 Panam Nagar eventually became a resort town for rich Hindu merchants, who built an extensive neighborhood of beautifully ornate buildings, grand ballrooms and columned facades. Then in 1965, the onset of the Indo-Pakistani war and the riots between the Hindus and Muslims compelled many of the inhabitants to vacate Panam Nagar. Only their servants were left behind to take care of the town, which instead has been reduced to a crumbling, vacant set of modern-day ruins. It really shouldn’t take you longer than 15 minutes to see all of Panam Nagar as it’s pretty small. And you’ll find that a lot of the buildings are in such a state of utter disrepair that you wouldn’t want to enter some of them (if they’re even accessible) anyway. 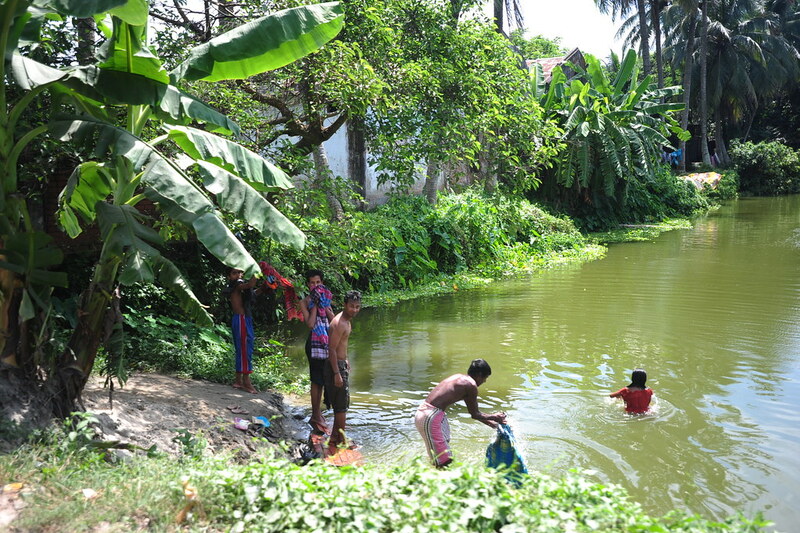 Some are even still inhabited by a few families, who were too shy to come outside when I was there. 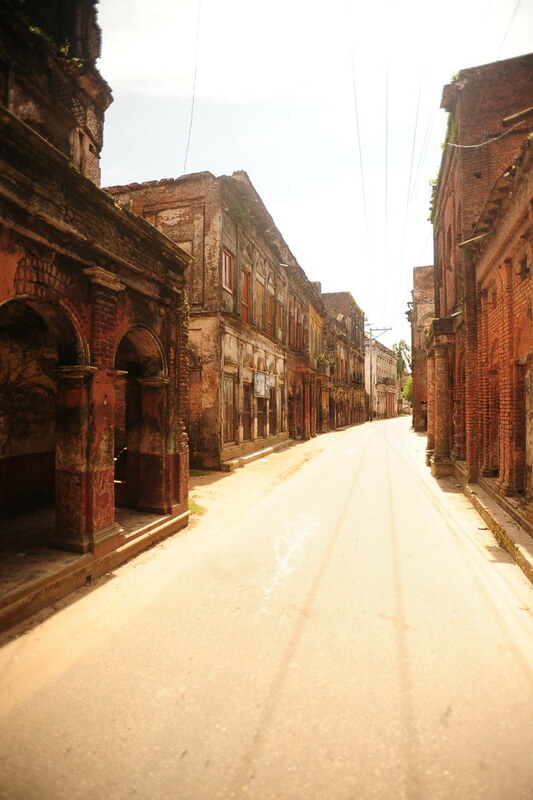 Currently, Panam Nagar and the rest of Sonargaon has been put on the “100 Most Endangered Sites in this planet” list by the World Monuments Fund. So if you ever had a curiosity to check out a ghost town on its way to total collapse, don’t wait too long. 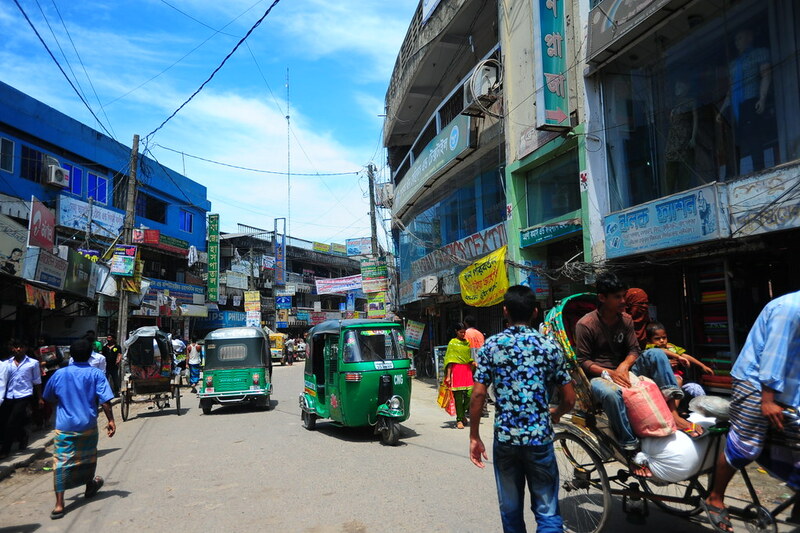 In returning to Dhaka, your rickshaw driver will take you back where you were dropped off. Once you’re there, simply yell “DHAKA! DHAKA!” You will be automatically directed to your choice of buses, don’t worry; one leaves pretty much every 30 seconds. And with that, I’m now resting up before my flight to Myanmar. 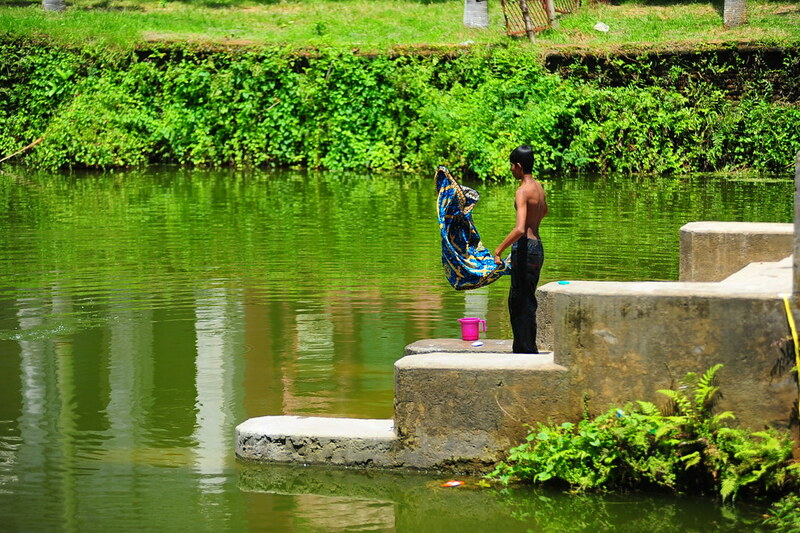 I’m going to miss you Bangladesh. its panam nagar. not painam.